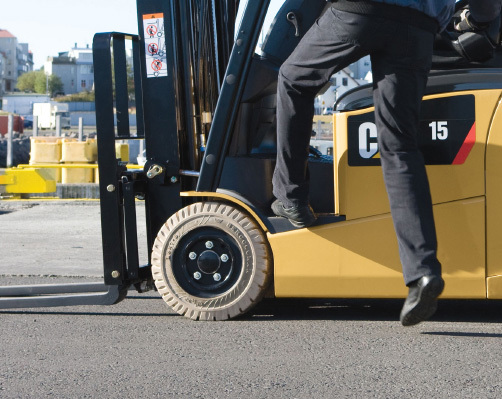 Forklift safety, be it the operator’s or other warehouse staff is of paramount importance. Low-noise levels help reduce operator fatigue, helping to keep your operators fresh and focused, while our Presence Detection System+ reduces the chance of accidental operation if the operator isn’t correctly seated. Responsive Drive System (RDS) adapts performance rapidly in reaction to speed of pedal operation, and ensures all movements, stops and starts are smooth. Your operators will benefit from class leading low noise levels with these trucks. This reduces fatigue, helping them to work comfortably for their whole shift. To put it into perspective, at just 65dB at the operator’s ear, this is a noise level equivalent to that of normal conversation. 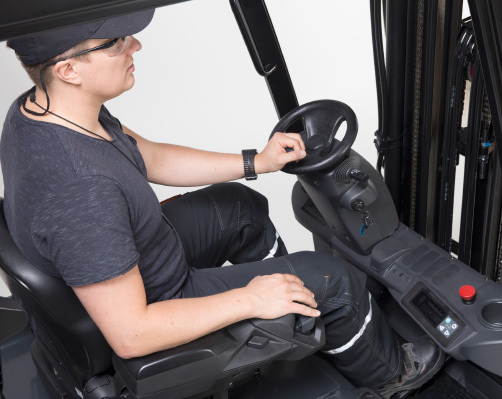 Our PDS+ system helps to prevent unintentional activation of the truck, by cutting power to the drive motors and hydraulics when the driver isn’t seated. The range also comes equipped with ‘ramp hold’ and an automatically applied parking brake, to further reduce the risk of accidents. 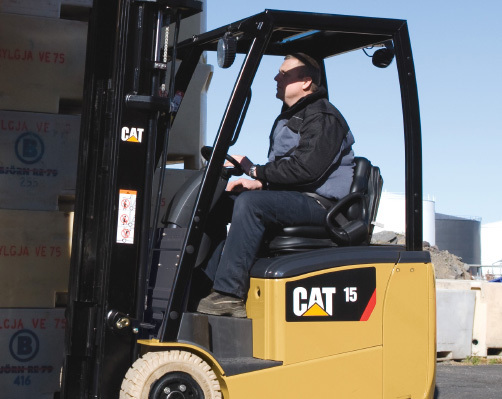 Central to the driving experience is the Cat Responsive Drive System (RDS). Monitoring and instantly reacting to changes in the speed of pedal movement, RDS constantly adjusts performance parameters so all actions are smoothly controlled – including starts and stops. The uncluttered floor, combined with a large ‘entry window’ and low, deep and wide step allows for quick entry and exit to the operator compartment, with reduced risk of the operator tripping on obstacles.